Angels Media is one of the property industry's leading digital marketing agencies. 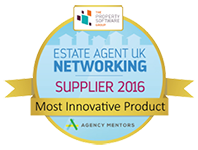 We also publish some of the sector's best-known publications, Estate Agent Today, Letting Agent Today and Landlord Today. Our position in the property industry is unique. By being on top of the latest issues and trends, we are able to help estate and letting agents achieve better results from their marketing budget. Over the past five years we have helped hundreds of agents drive more traffic to their website, generate more vendor and landlord leads and subsequently boost their all-important stock levels. Whether it's finding your voice on social media, designing a beautiful brand or kick-starting a complete marketing makeover, we can work with any agency to create a tailored strategy that will help you engage with your target audience.